A brooding Creole shamus in turn-of-the-century New Orleans risks everything in his pursuit of a multiple murderer with protection in high places. In Storyville, New Orleans’ red-light district, three black musicians are attacked in different ways but with the same fatal results. Private eye Valentin St. Cyr (Chasing the Devil’s Tail, 2000) begins by investigating the poisoning of the third, handsome young trombonist Jeff Mumford, who leaves behind voluptuous Caribbean mistress Dominique. 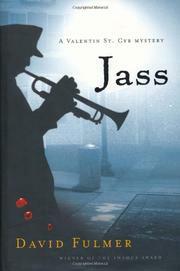 Aided by local musical sensation Jelly Roll Morton and by Beansoup, a raggedy street denizen, Valentin learns that all three victims were members of the famous Union Hall Band, players of the hot new “jass” music. Although there’s plenty for Valentin to do, his lover Justine, a former high-priced prostitute, suffers from ennui. She’s wooed away by notorious madam Lulu White and into the arms of a wealthy businessman. But Dominique readily fills the empty place Justine’s defection leaves in Valentin’s bed. After Jeff’s landlady and another Union Hall musician are added to the death toll, the experienced Valentin thinks his probe should be welcomed by both police lieutenant J. Picot and political boss Tom Anderson, “The King of Storyville.” But both order Valentin off the case, and Anderson raises the stakes by threatening to reveal a destructive secret from Justine’s past. What should the ethical Valentin do? In his series’ sophomore installment, Fulmer deepens his depiction of Storyville and provides a few satisfying surprises.